The experience of moving into a newly purchased home—be it a house, townhouse, or condo—can be many things, but it’s always memorable. The stress of keeping tabs on all the moving parts, from the paperwork of your new residence to the piano you loaded into a chartered truck, can make it easy to lose touch with priorities. Arranging furniture and investing in a beer tap for the man cave can wait—here are the 10 most important things you should do after a move. Save yourself from digging through bags of clothing to find a pair of sweatpants, or wrestling heavy boxes of kitchen gadgets just to retrieve forks. Strategically pack a first-night box with everything you’ll need to survive until Day Two: toiletries (toothbrush, toothpaste, soap, shampoo), prescriptions, towels, bedding, pajamas, an outfit you can do manual labor in for the next day, toilet paper and paper towels, trash bags, snacks, coffee, chargers. As for the forks—we say order take-out that night and go with the plastic variety. Water and sewer — Contact the city. Gas, electricity, and trash — Contact local providers. Depending on your city, trash may be lumped in with water and sewer. Barring that, you’ll likely have just one option for each utility. TV and internet — You’ll likely have several service providers to choose from. Research the best TV and internet providers, or go through a service like Allconnect (a home services marketplace) to quickly surface the best deals. Security system — Consider setting up a security system or thoroughly familiarize yourself with the one that’s already in the house. If you have an existing system you’d like to transfer, know your provider might charge a moving fee. You don’t want to be racing around trying to find the water main when there’s a geyser in the bathroom. Take time now to familiarize yourself with all the vital components of your home. Water main shut-off — Where in your home it’s located depends on construction, but indoors, outdoors, or even in the crawlspace, it will be at the perimeter of your home facing the street. 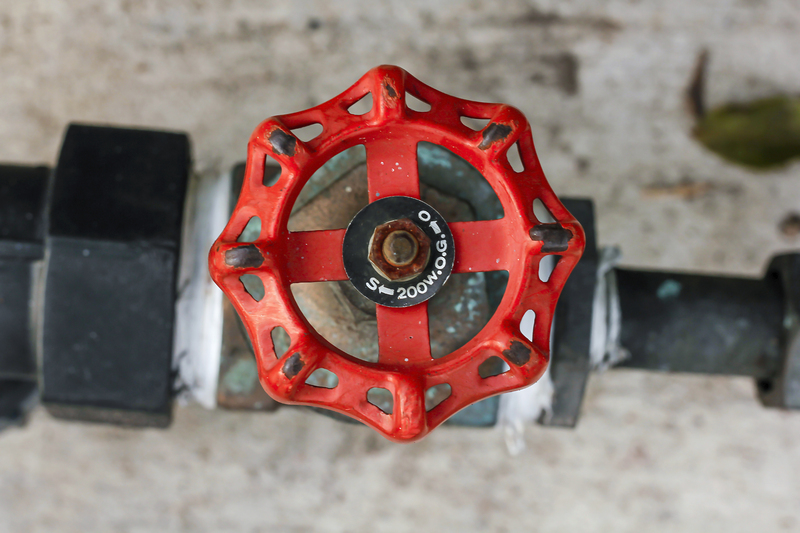 If your home has a sprinkler system, it’s good practice to only turn off the second, “downstream” valve. A knife style valve is off when it’s turned perpendicular to the pipe. A round style valve is off when it’s rotated several times counter-clockwise. Circuit breaker — This metal box, flush against the wall, also could be anywhere in your home but, luckily, it’s fairly easy to spot. If the circuits aren’t already labeled, here’s a quick and dirty method for finding out which permanent electrical devices they control: Turn on everything in the house, then flip off one circuit at a time to see what powers off. 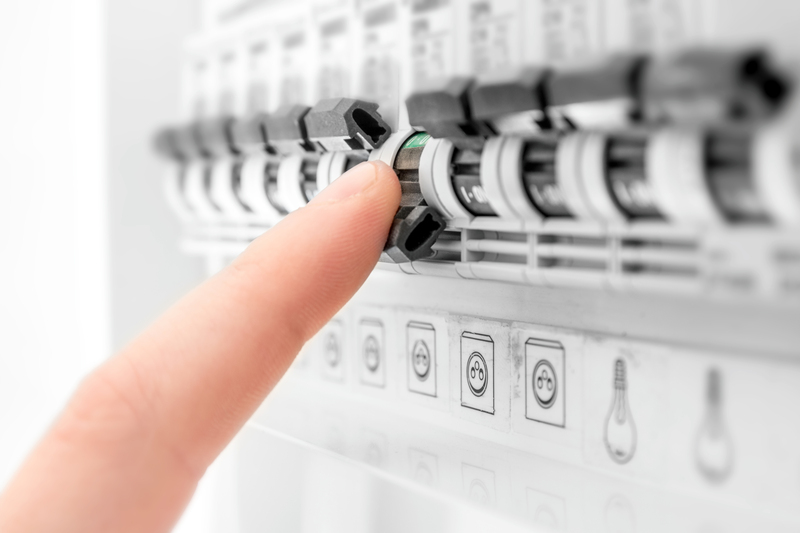 If you overtax the breaker’s electrical load and the house goes dark, you can likely just flip the main circuit off and on, but you might need to target a specific breaker. Smoke and carbon monoxide detectors — Test all the detectors in your home and stock up on the right batteries—probably 9 volts but maybe AA. What’s your family’s vision for your new home? Get on the same page early on about the trade-offs between the home’s immediate needs and your goals for renovation and decorating. Between appliance failures and HVAC snafus, plan for the first year to be expensive. You can expect to spend money you don’t expect to spend. While, unlike a swanky couch or a piece of art, they’re not the kind of expenditures you get to enjoy, they are necessary to maintain the value of your real estate investment. While it can be tempting to set up house straightaway, doing so could double your work. Start with the tasks that are best accomplished in empty rooms. 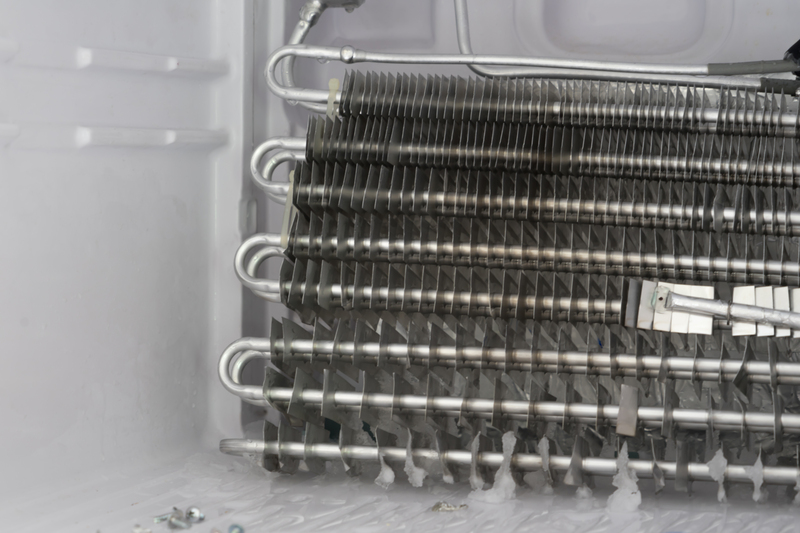 Refrigerator coils — Coils might be located on the top, back or bottom of the fridge. These need a good cleaning with a brush and vacuum to keep the interior cool. Unplug for safety. Dryer vent duct — You might be better off hiring a professional for this task, given that some floorplans make ducts hard to access. If your laundry room abuts an exterior, first-floor wall, however, you can likely DIY. You’ll need to buy a lint brush designed for the purpose, something with a good long handle that allows you to reach deep into the duct. It’s like a Q-tip cleaning the ear of a giant. Again, unplug before cleaning. Heating and cooling — Clean up coils, vents, and the area around the units to improve their function. While you’re at it, replace the furnace filter (this should be done every 60-90 days). Attic and crawl space — The home inspector likely already diagnosed any problems in these locations, be it water damage, proper ventilation, pests, or vegetation. Whether you’re tackling these issues yourself or hiring help, make them a priority. Paint and refinish — DIY if you have the time and attention to detail, or hire out. Rather than push forward on all fronts simultaneously, pick your unboxing battles. Place every box in the room it belongs in. Prioritize bedroom and bathroom — Get these rooms as complete as possible before moving on to the rest of the house. This way, you have established spaces to retreat to, away from the visual chaos of the rest of your new home. Whether you shouldered the burden all by yourself or called in the pros with a moving company, establish an organized method of confirming you arrived with everything intact. If you hired movers, collect moving receipts. If something is missing or damaged, file a complaint. If you acquired moving insurance, file a claim. This is a great opportunity to perform a home inventory—an organized list of all the personal possessions that you keep in your home. In the event they are lost or damaged in a covered peril (like a natural disaster, a fire, or theft), your homeowners insurance will reimburse you. Providing, of course, you can give some detail on what you possessed. So many elements of our lives are tied to our address. Integrate your new place of residence where applicable to save yourself from any hiccups. Get a new driver’s license and license plates — If you’ve moved states, the onus is on you to make sure your driving credentials reflect where you live. The fees and penalties for not doing so in a timely manner (most states want it done in the first couple months) can be steep. Register to vote — If you move counties, you need to re-register to vote. Within the same county, you’ll still need to update your address. Forward your mail — This is another preliminary step you’ve likely already taken care of. If not, file an official change of address with the USPS. This step could also link you up with MyMove, a service and savings resource for movers. Get a library card — Take advantage of the community benefits of your new neighborhood. Getting on a first-name basis with the people who live next door is more than just a friendly gesture, though there’s certainly merit in friendliness alone. If your neighbors know your family, they are in a better position to be of help in an emergency or to recognize when the person snooping at your back door is a stranger. Neighbors will also be an invaluable source of information about your area. A good first question to put to them: What day is garbage collected? When you’ve just moved into a new home is the most important time to get everyone in your household aligned on what to do and where to go in an emergency. There are no habitual behaviors to fall back on. 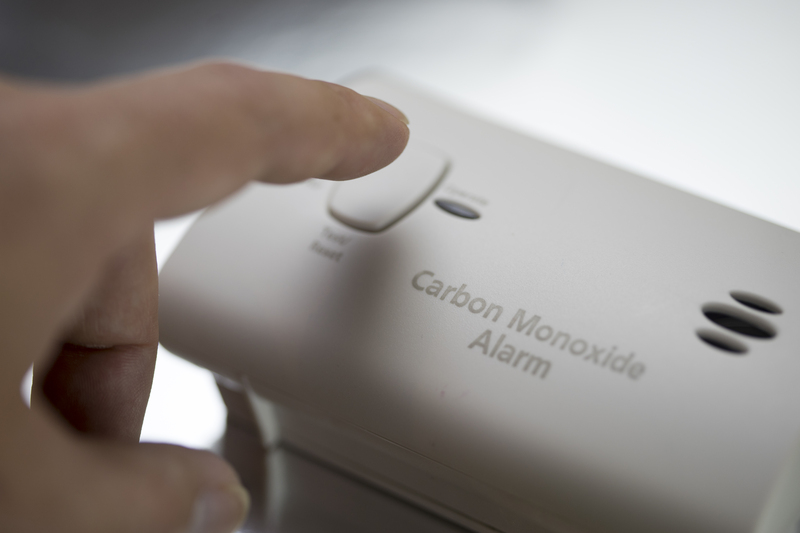 Start with making your home safe, then identify what to do if it becomes no longer safe. Change the locks — Through open houses, inspections, appraisals, and the coming and going of technicians, your residence has seen a lot of traffic. Ensure there are no duplicate keys floating around by putting new locks on all external doors. Get new spare keys made. Buy fire extinguishers, one for each floor. Equip upstairs bedrooms with escape ladders. Create your emergency plan — Identify two exit routes (front door and back door) and two meetings points (one on your property and one off your property). In case the emergency is a bad storm, locate your home’s best weather shelter—likely the lowest space in the house without windows, like a basement. That’s where you should stash a survival kit that includes first aid items, nonperishable food, and water. Editor’s note: Allconnect.com and MyMove.com are owned by Red Ventures, which also owns Reviews.com.